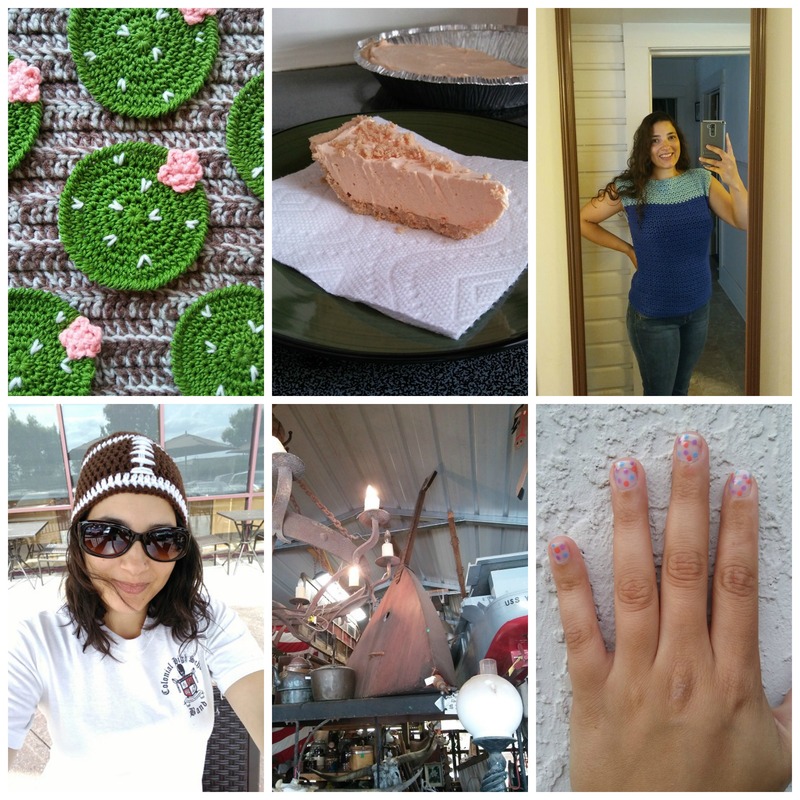 Welcome to the 7th Super Crafty Sunday Link Up! Hey Guys! Happy August! Kids are back in school this month, fall is near (in some places), and schedules are returning somewhat back to normal. Tell me, did you take the summer off from crocheting? Cut back on it at all? Crochet more than usual? 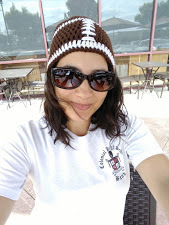 Here in Florida, it is hot pretty much all year long, as the summer heat has no affect on me and my crocheting. Lately, I have been feeling more motivated than usual, and have recently finished quite a few projects, and posts to share later this month, and next. 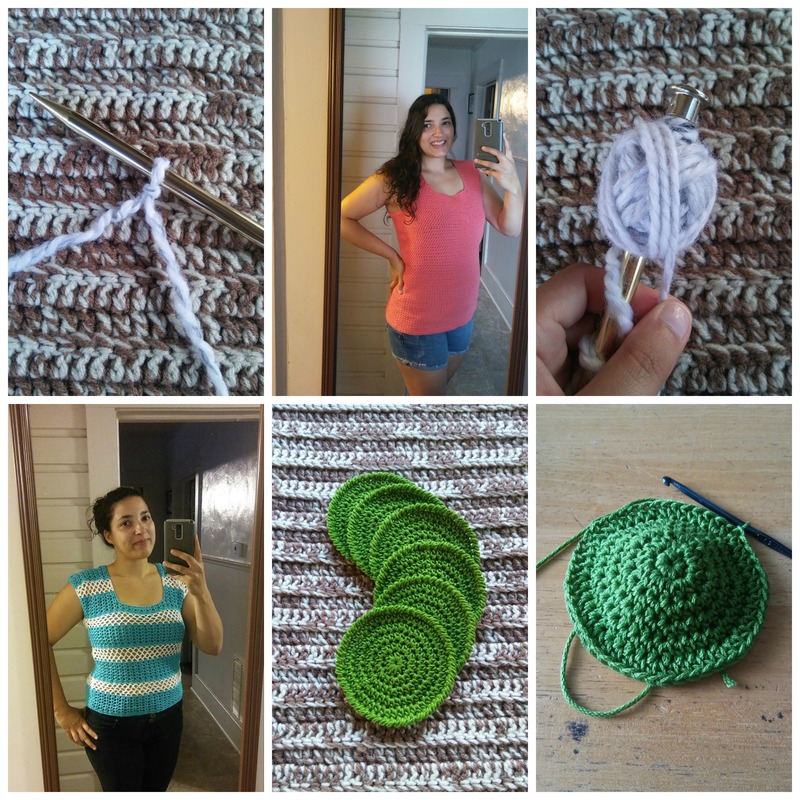 Top: Triangle Scarf with Russian Pattern from Hobby Loes – Crochet Inspiration. What a really neat pattern! Kind of looks like the virus shawl that’s been all about, but with some granny stitch thrown into the mix. Fun combination of stitches! 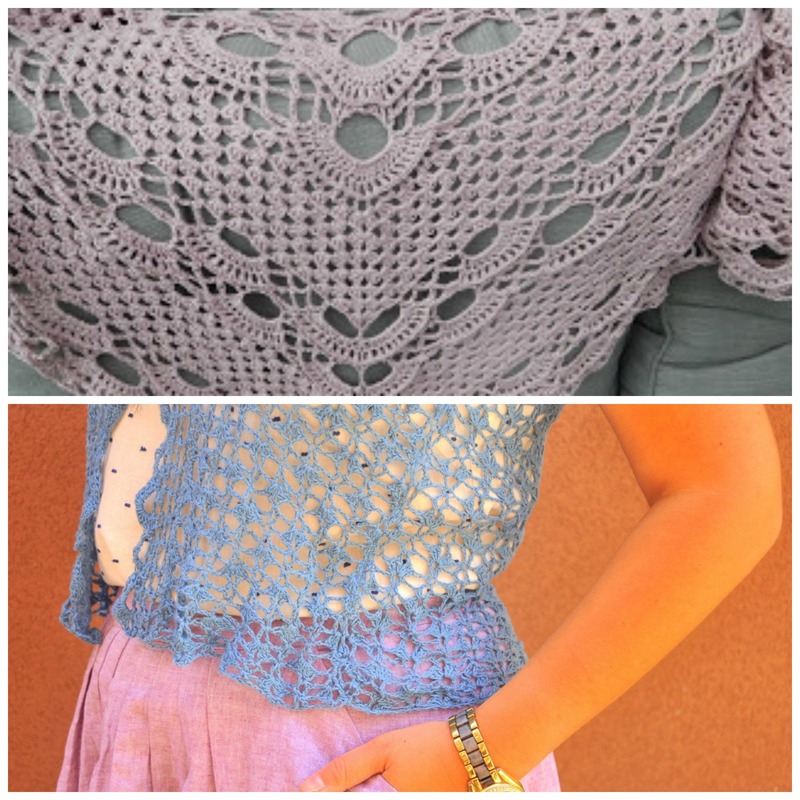 Bottom: Crochet Garden Party Cardigan from Kiku Corner – Crochet Pattern Review. What a beautiful cardigan! I follow the Kiku Corner blog, so this piece caught my attention even before it was linked up to our party. I immediately popped over to check out the pattern after reading Meinhilde’s review. Even with using a lace weight yarn, this cardigan can still be worked up over a weekend – a plus in my book! It’s also lightweight and airy, making it perfect for late Spring into Summer – another plus in my book! AND designed my Marly Bird, this cardigan is a must try! It’s on my wish list. This Month’s Giveaway is sponsored by me, Alexandra of EyeLoveKnots. 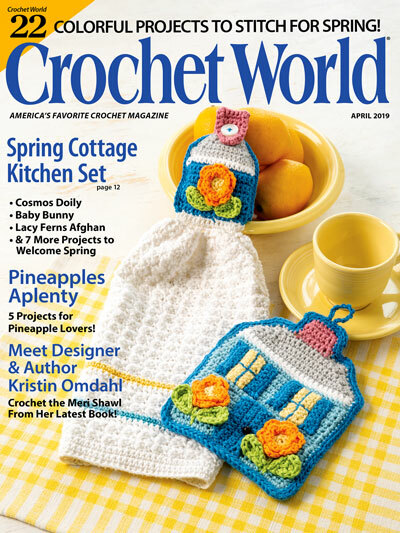 One winner will receive crochet kit. 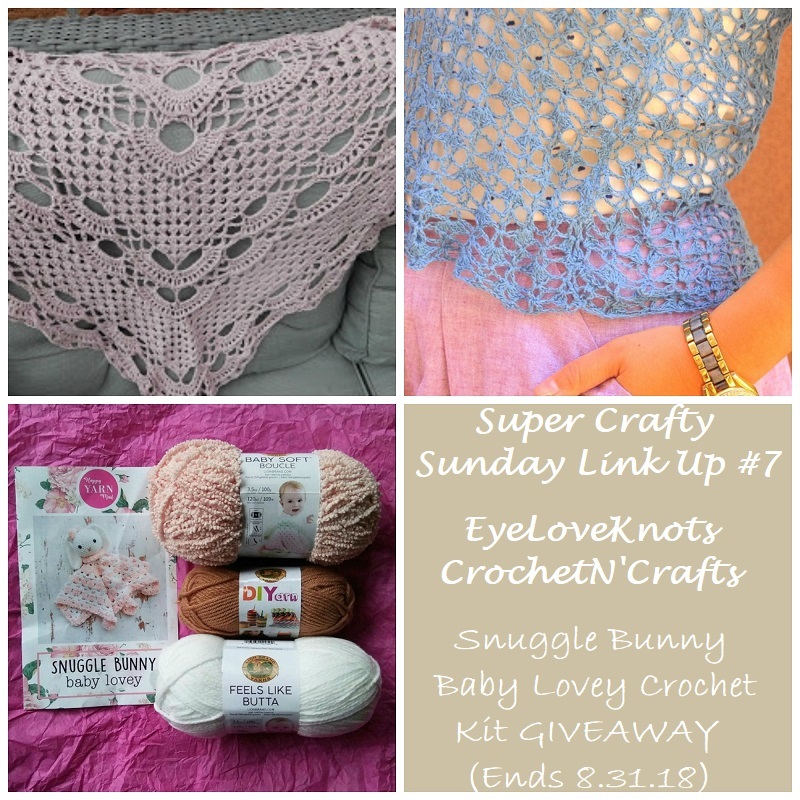 This crochet kit is actually July’s Happy Yarn Mail kit – a monthly crochet subscription that has been cancelled. 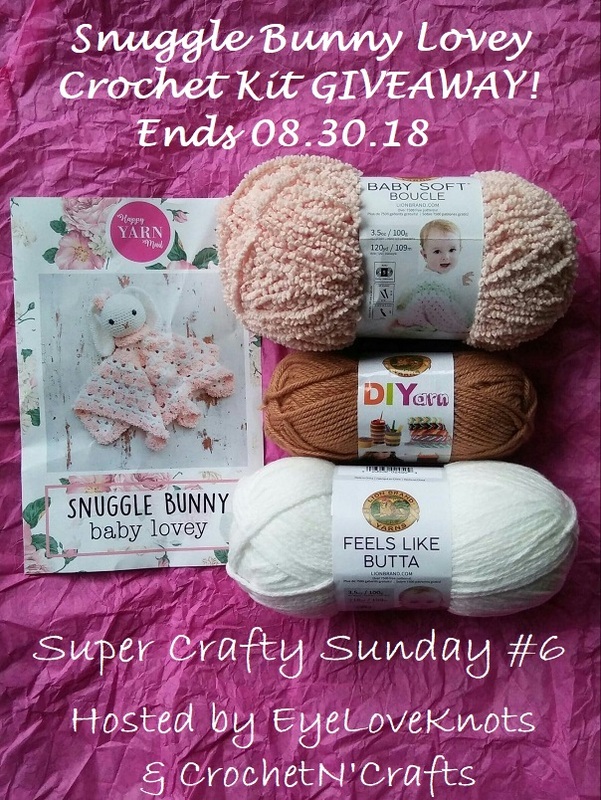 Kit includes a skein of Lion Brand’s Feels Like Butta in White, a skein of Lion Brand’s Baby Soft Boucle in Peach, and a skein of Lion Brand’s DIYarn in Camel, plus printed instructions for working up the adorable Snuggle Bunny Baby Lovey shown! You will need stuffing for the head of the bunny, safety eyes, and both an E3.5mm and K10.5/6.5mm crochet hooks, as these are not included in the kit. Must be 18 years or older to enter. Open to all countries. Void where prohibited. Winner has 48 hours to respond to email notification, or another winner will be chosen. Alexandra of EyeLoveKnots is responsible for prize fulfillment. Snuggle Bunny How adoreable, love to win! It is quite cute, and the yarn feels awesome. I was thinking about a Clover Armour set for a giveaway! Thanks so much for your feedback. I prefer to pick a pattern & find my own yarn. I’m with ya. I got tons of yarn in my stash to pick from. thanks Alexandra. I’ll make sure friends find your blog. I also prefer to choose my own rather than use a kit. I won’t complain – free yarn is always great! I will keep it on my list. For future giveaways I would like to see crochet hooks and yarn please. I will work on the hooks, promise! I like to search for a pattern and then buy the yarn for it. I have never bought a kit. 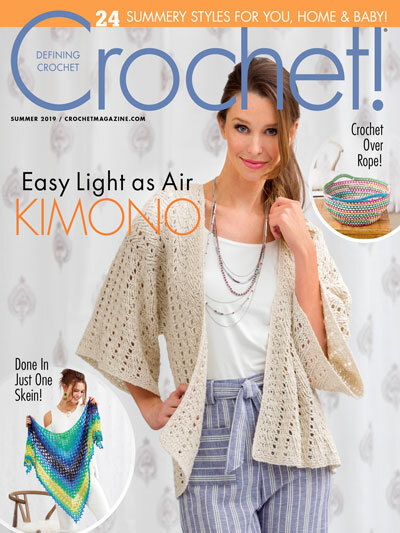 It’s funny, because before the Happy Yarn Mail, I was a subscriber to Annie’s Catalog crochet kit thing, and I never really was interested in the projects they sent. What I liked about Happy Yarn Mail was getting to try out new yarns I hadn’t tried before. Sadly, the service is ending. Don’t think I will be starting a new kit subscription, but I am thinking maybe a new magazine subscription. I really enjoy Simply Crochet. Lots of great projects in there. Thanks for stopping by, Cheryl! I like to do things both ways! I would love to see a craft store gift card or an Etsy gift card as a giveaway prize but I’m happy with any prize. I have done Etsy Gift Cards in the past. Will see about doing another one soon! Thanks for your suggestion. Love this giveaway! thank you for the chance to win! My little granddaughter would LOVE this Lovey! Hope I win something for a change….. Fingers crossed for you, Carol! I love the adorable giveaway. For future giveaways I always like to see yarn and hooks, thank you! I love the yarn, patterns and accessories as needed. I would like either. Sometimes kits open me up to new ideas, materials, etc. that I otherwise might not try.